Sherri’s work is featured in this book. 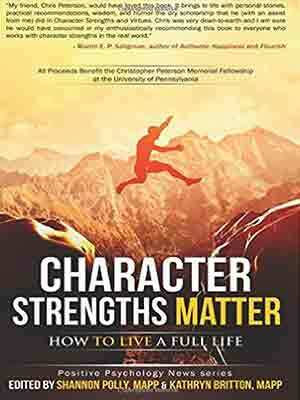 Appreciate, explore and expand your use of character strengths! An all-star cast of 30+ Positive Psychology writers and editors, plus original illustrations. This is the third book in the Positive Psychology News series, joining Resilience: How to Navigate Life’s Curves and Gratitude: How to Appreciate Life’s Gifts. Bottom line, this book is bound to make you learn something new, be inspired about humanity and have a chance to play with character strengths. This book will make you happier.